In the name of Allah, The Most Gracious and Most Merciful. Good Morning! I remembered asking myself once or twice when i was few years younger, what would happen if i were to bump people who had made my life miserable and i hated the most now (back at that time) in 3-10 years time? Hurm...it's a tough question though because i'm a hard-headed girl. Would i still have anger and hatred for that person in my heart? and yeah, do i view the person the same way i did today? or maybe would i assume that the person has changed somewhat and thus deserves to be treated kindly just like any other person whom i love as friends? in regard to this matter, yes, i do have some people in my mind. Ive only discovered the answer to those questions(hope this is the one!) when it really happened last year. And i realise that the hatred had slowly gone, the assumption that the person is 'bad' is still there but it has disappeared as soon as i talked to the person. I should say, the talking heals the pain and that i have forgiven the person from the beginning. Therefore, i ended up treating that person like an old friend whom i've not met for a life long time. I think, i was able to feel and react that way only because i'd successfully put myself in that person's shoes. "sometimes u make silly mistakes in your life when you're younger and hope that the other person you hurt or embarrassed would've forgiven you"
Same goes with me, i hope i made silly mistakes and i know they did hurt people and secretly i hope that the person will forgive me and we can be friends again. 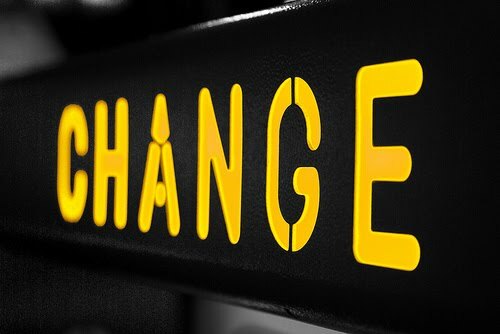 I've also learnt that change is possible to anyone, it is not a matter of whether the person CAN change for the better or not but it is a more of about whether YOU WANT to change or not. In this case, i choose to CHANGE. "treat everyone equally and forgive people, not because they are nice but YOU ARE"
So as a reminder about judgment, mind to worry about ourselves being judged in front of the AlMighty on Judgement Day.